A fair a promote tourism in Northwest region in Vietnam will be held from 17 to 19 November 2014 in Ha Giang City of Ha Giang Province. 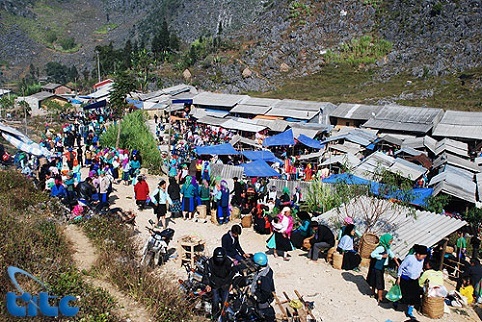 The fair is aimed to promote the tourism of eight provinces in the region including Ha Giang, Lao Cai, Yen Bai, Dien Bien, Lai Chau, Son La, Hoa Binh, Phu Tho. All of them have a lot of potentials to develop tourism with beautiful landscapes and diversified culture. With a lot of interesting activities, the fair will introduce you wonderful tourism services, products as well as local specialties. The fair have more than 30 booths displaying tourism products, services, handicrafts, traditional costumes of various ethnic minorities, local specialties and foods of the Northwest region. In additional, there are also music festivals performing folk songs, folk dances and traditional instruments. A photograph exhibition is held in this occasion to introduce the imposing and breathtaking beauty of Dong Van Plateau and other places in the Northwest like Sapa, Mu Cang Chai, etc.